I decided not to rave about my love for Misti...because I know you are in the same boat. This thing is amazing! I have always loved The Sweet Life set from PTI, but I have never been able to line them up perfectly. Now? I got it in the bag! I used Sweet Blush, Pure Poppy and another layer of Pure Poppy to get these gorgeous red roses. I fussy cut them out and layered them up with some of the new Sheer Basics Bitty Dot Vellum. I added in a sentiment from the Banner Sayings set. I can say now that it was definitely super simple! 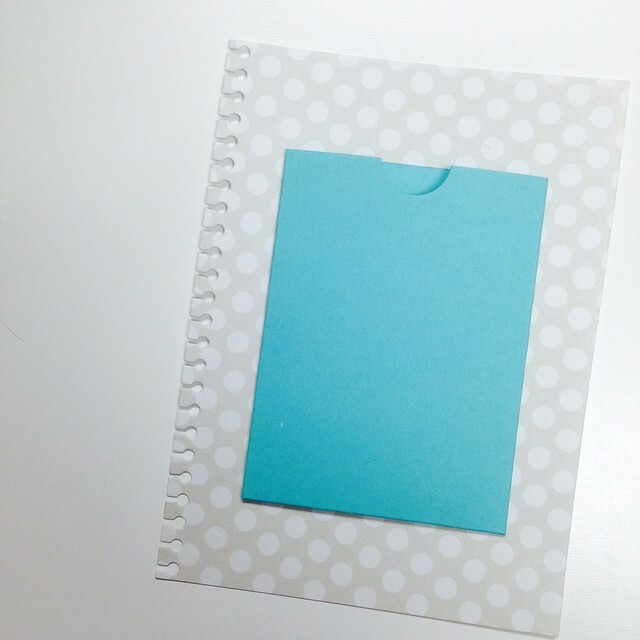 This Misti makes things so easy! Thanks so much for coming by today! Hope you have a great Friday! 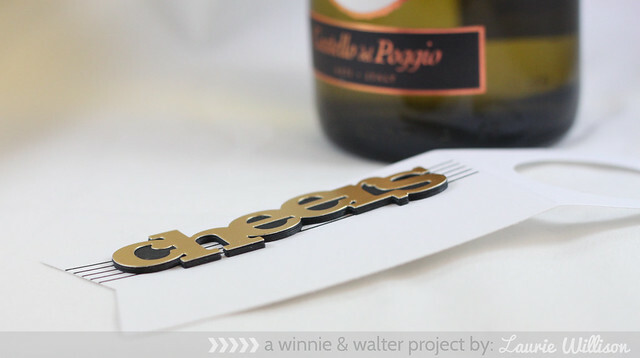 I hope you are stopping in today, coming from the Winnie and Walter blog. That means you have seen all of these new amazing dies. 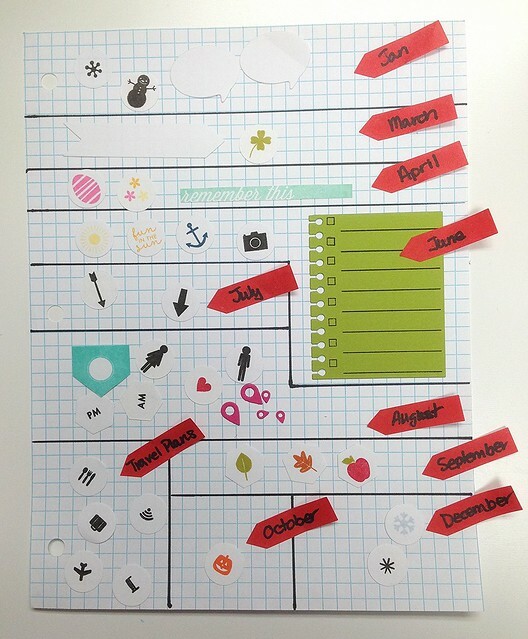 I have one very quick and easy (and oh so fun) project to share today! Winnie and Walter now have these amazing new In a Word Cutaways. 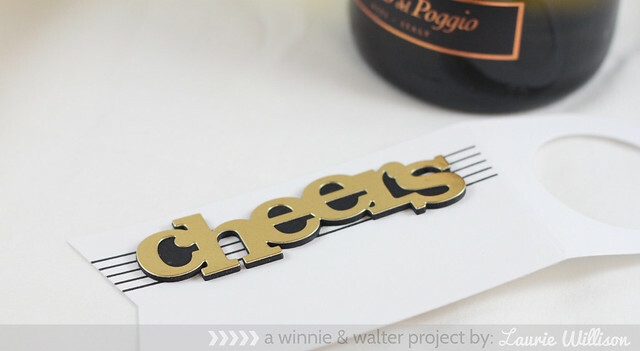 Today I am using Cheers! 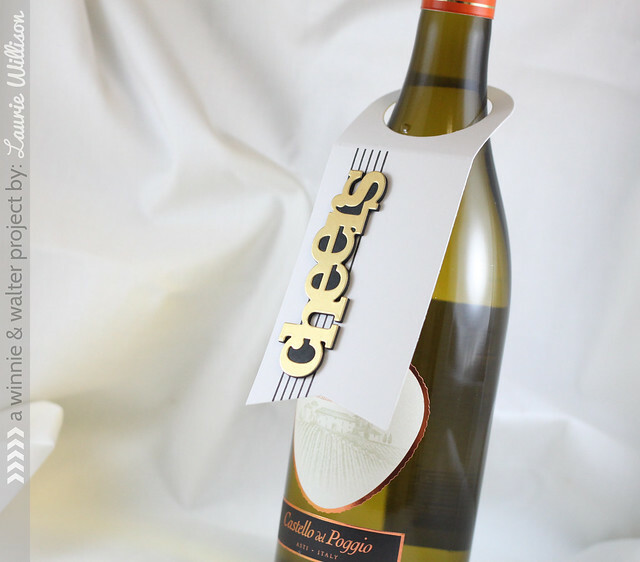 First I masked off the hanger end of the wine tag and stamped one striped image from Scenery: Stripes. 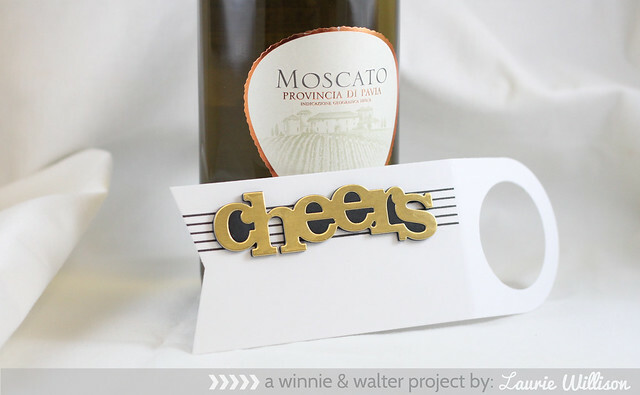 Next, I cut out 6 of the cheer dies in black yardstick and one in gold. I stacked them up so I had a really nice amount of dimension. I didn't pop out the centers of the black dies so I could have another fun little touch. I love how the die just stands up off of that white tag. 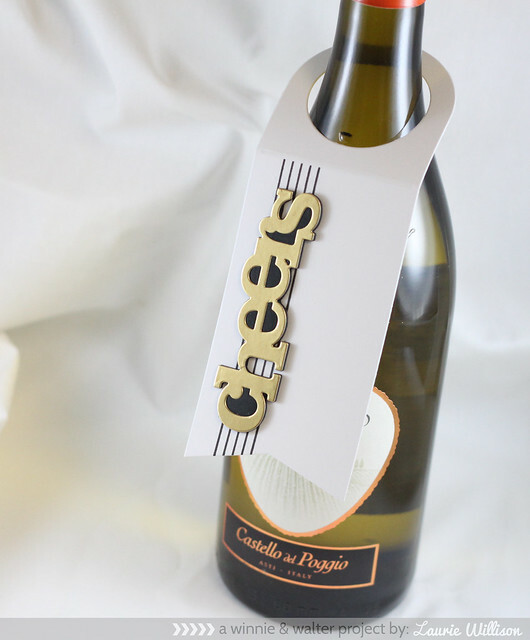 The gold gives this tag such an elegant look for sure! Ps. This is my most favorite wine ever. I don't drink that often because it makes my ears hot. It's ok to laugh. It really does. And my cheeks turn a bright shade of red. I'm a mess really. BUT when I do have wine, this Moscato is amazing! OK so enough about my wine and on to the Winnie and Walter blog to see lots more about the new Cutaways! Thanks so much for taking time today to stop in. Have a great day! Busy cannot describe life at the moment. This last couple of months, I have needed a life raft at times. BUT, I am happy to still be afloat. So many exciting things have happened and one kinda sad. I stepped down from Reverse Confetti. I love Jen and her designs and I can't wait to see what she will have next! Its good to have a little more time for things here at home though. I am a room mom this year. I love it! So many fun kid activities right now. I don't want to miss any! I actually sat down and made something. For no reason at all! :) I have piles of unused stamps and dies and this one has been staring at me this week. 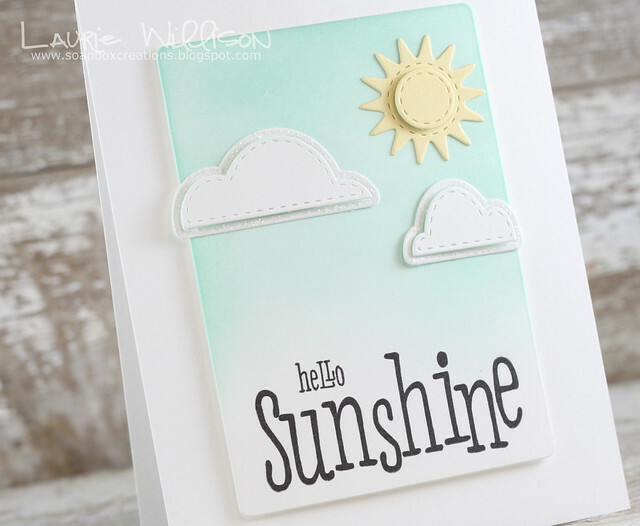 Here is a quick card I came up with using the new sets from WPlus9 called Sending Sunshine and Sunshine Layers. These sets? A must have for your stash! 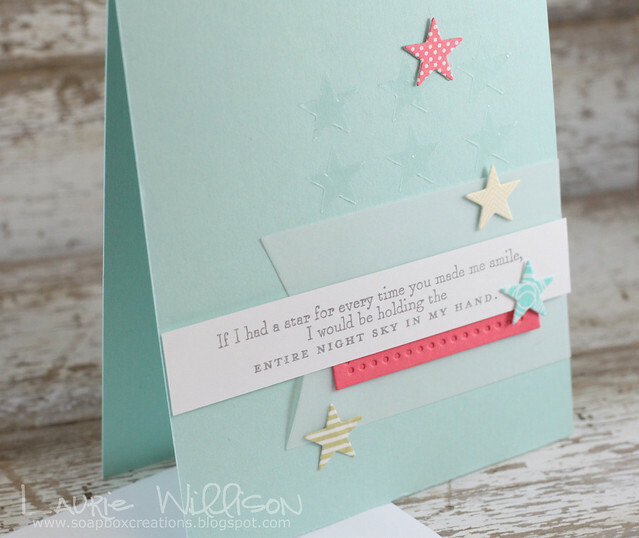 I used one of the dies to cut out the card front and then grabbed a Tim Holtz Ink Blender to add in some aqua mist ink. 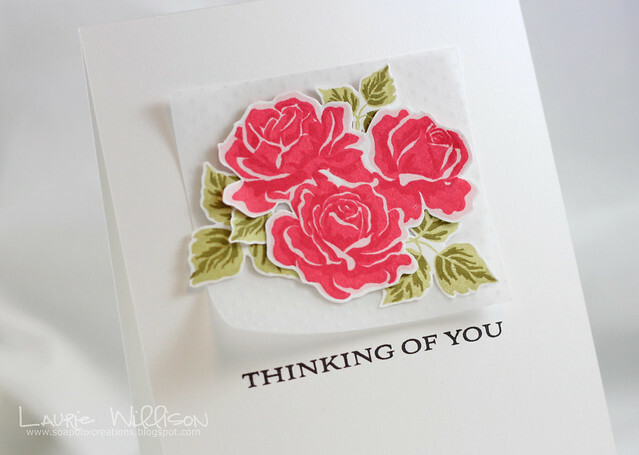 I used my Misti to line up that sentiment.....do you have one? What are you waiting for? ....and stamped it nice and straight! 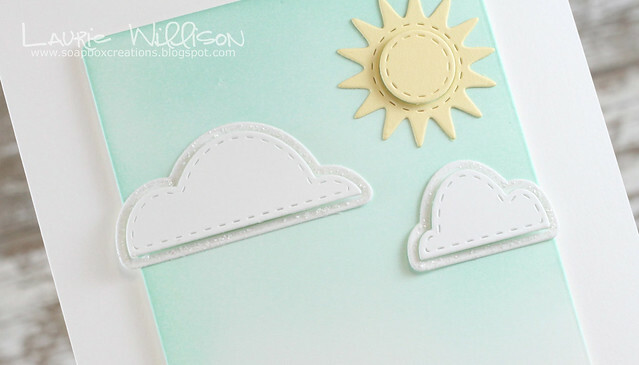 I die cut the clouds and sun and added them in with foam tape. So that is it for today! 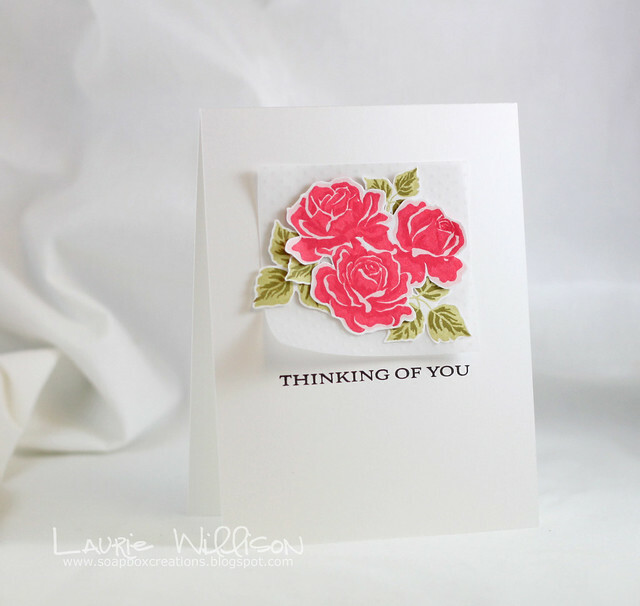 So happy to have made a card! I am headed out to catch up on some shows I am WAY behind on. The fireplace is going too. Its freezing here. I am SO very ready for Spring. Thanks so much for stopping in today! Have a great day! Hey there! 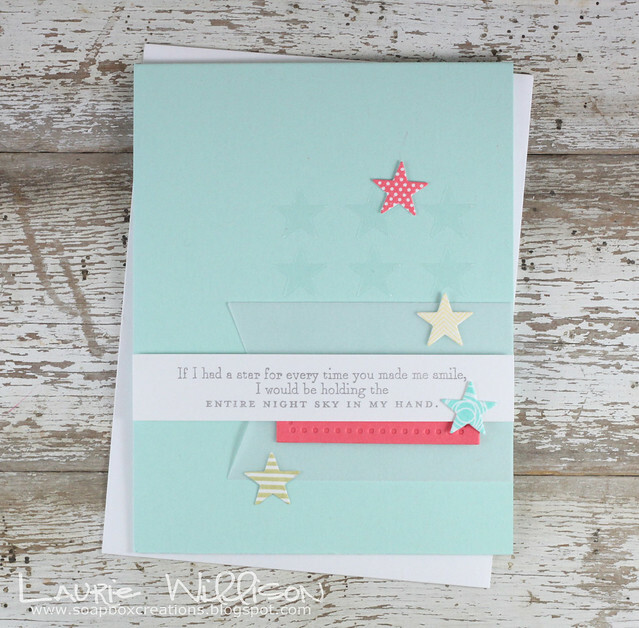 I'm up this week for Make it Monday over at Papertrey Ink. I have a video today on how to use your PTI Cover Plates as a stencil for embossing paste. So easy! So fun! Here you can see the shine. I love this paste! I hope that you can play along this week. 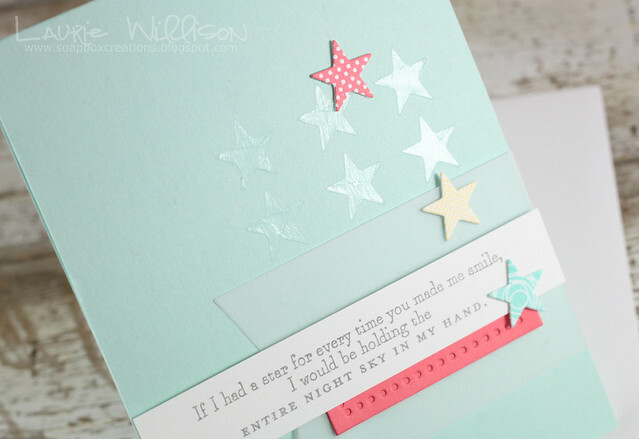 There are more details over on Nichole's blog! Thanks for coming by!